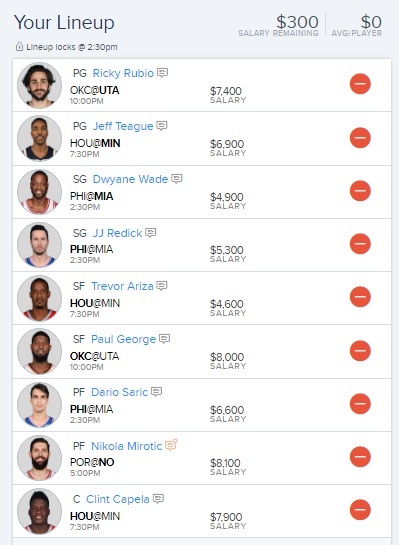 Paul George leads this incredibly balanced lineup I have put together. Look for Clint Capela to once again have a monster night. the Timberwolves do not have enough depth to handle him. My sleeper pick is Ricky Rubio, he should see more production playing at home today.